Goshen is a great place to explore, buy a home, and start a business. 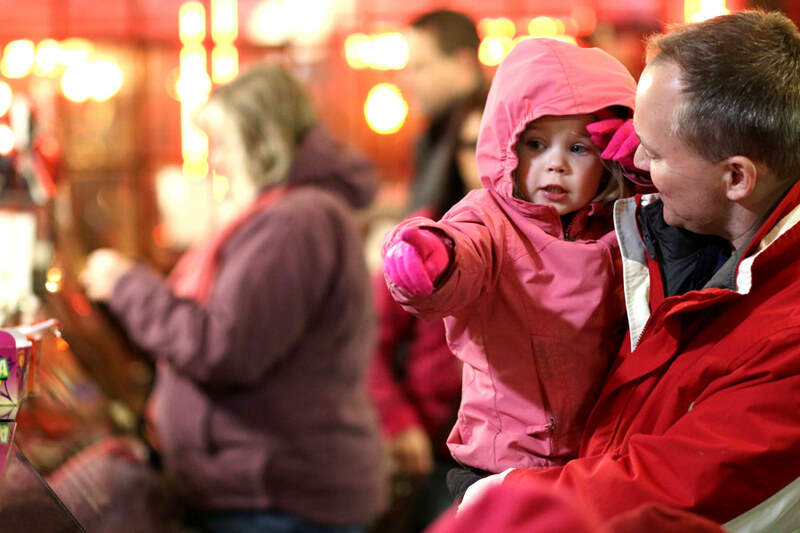 But more than that, the Maple City is also home to a plethora of resources for growing families, making it the perfect place for entrepreneurial and creative parents. 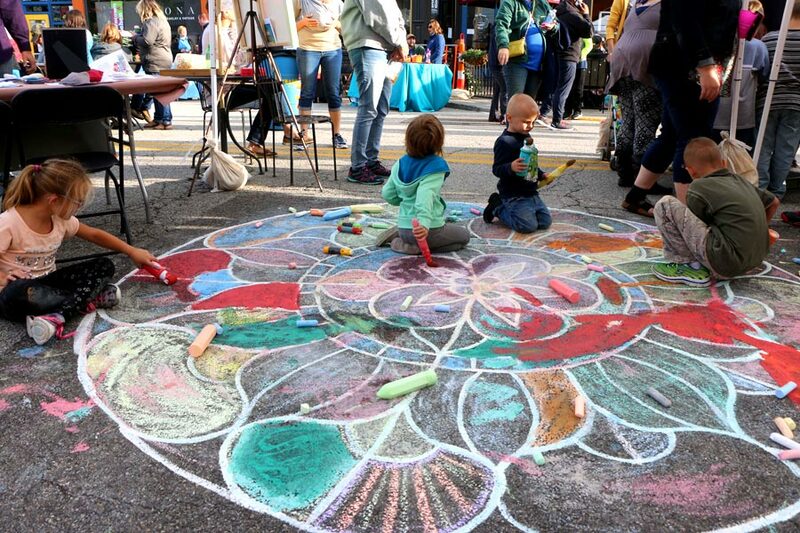 From remarkable play-places to artistic opportunities galore, Goshen has just as much to offer its children as its adults. 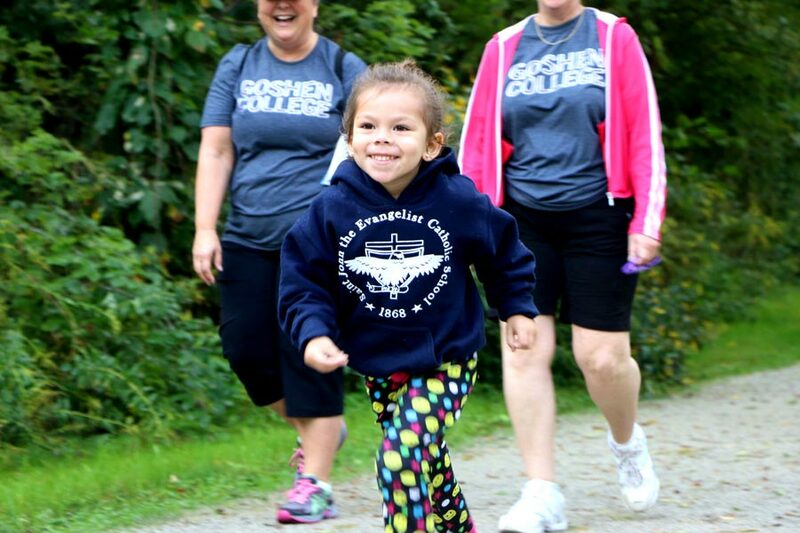 Here are just a few reasons why Goshen is a child’s (and parent’s!) wonderland. Do you have a young artist on your hands? You’ve come to the right place. In Goshen, precocious painters and proficient performers can express themselves, develop new skills, and refine their abilities. In addition to the plethora of top-notch opportunities in Goshen Community Schools, Goshen also has a host of extracurricular avenues for the arts. These include the monthly Creative Kids Day at the Old Bag Factory, which includes make-and-take crafts. Art lessons are also available through Goshen Youth Arts and Goshen Painter’s Guild. Children play at Goshen First Fridays. Downtown Goshen has a party every month, and you’re invited. First Fridays showcases the vibrancy of our central business district and features food, music, and more. Two of our most popular events are the classic automobile Cruisin’ Reunion in July and the Fire and Ice festival in January. 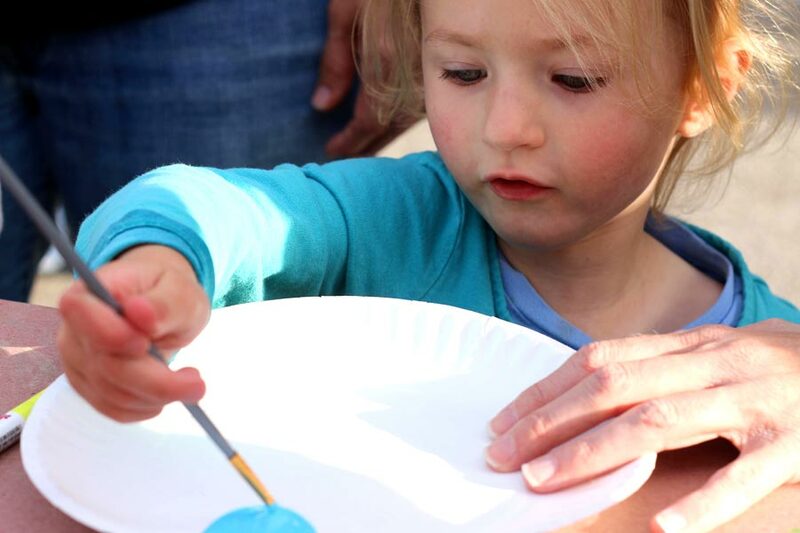 In addition to Goshen’s monthly festivals, children can explore their interests at Goshen Parks and Recreation programs. Classes include a wide array of topics including dancing, basketball, pirates, princesses, and even Brazilian Jiu-Jitsu! If board games are your family’s choice activity, head downtown for Better World Books’ Game Night, an event open to anyone in the community. The Maple City is home to compassionate, committed adults who care for kids, and help them learn and grow at the same time! Working parents have access to several wonderful daycares and learning centers in this area, including Walnut Hill Early Childhood Center, Goshen College Campus Center for Young Children, Growing Kids Learning Center, and many more. 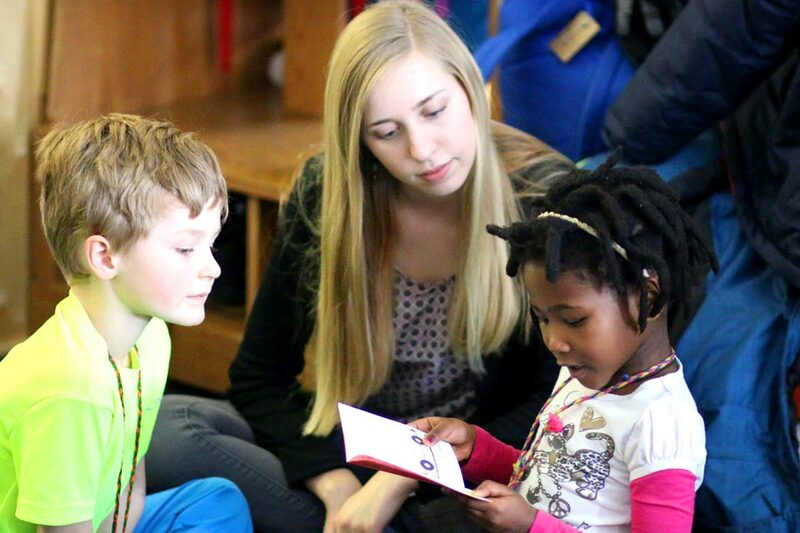 Children read to a student teacher at Goshen College’s Campus Center for Young Children. Goshen is full of opportunities for children who love sports – or, perhaps, have a little extra energy to burn off. 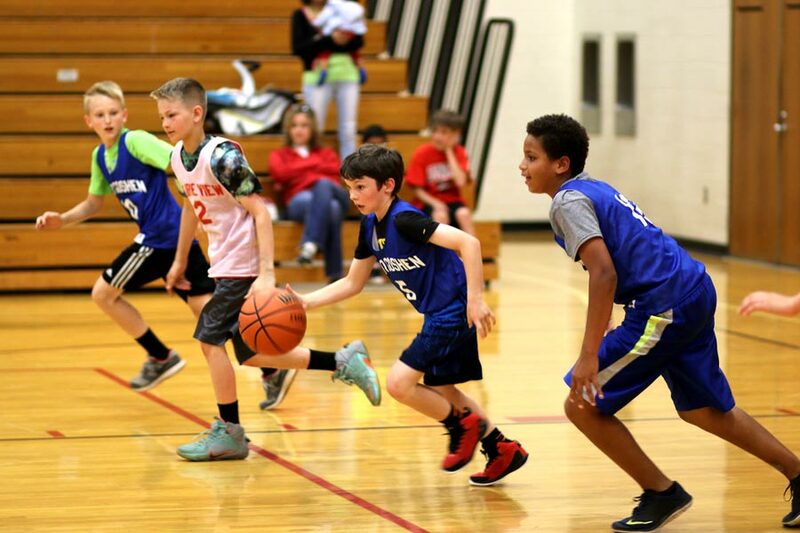 Basketball is big in Indiana, and budding hoopsters can enjoy team play through the Goshen Parks and Recreation Department’s youth basketball camp and league. 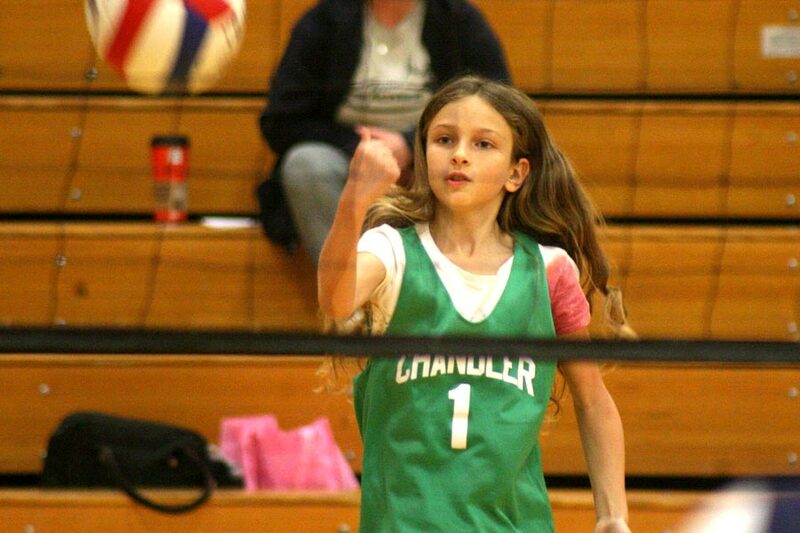 Goshen Community Schools has several youth sports programs for elementary-aged kids, while Goshen College offers basketball, soccer, and volleyball summer camps. Goshen is also home to a Junior Football League where fourth- through sixth-graders can learn football fundamentals. The city also is home to an active Little League, Goshen Youth Soccer Organization, and Goshen Stars Soccer Club. 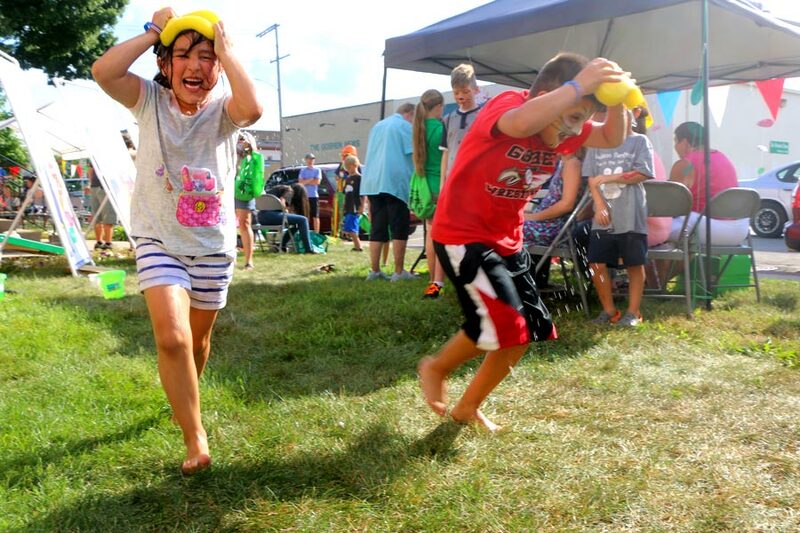 In addition to camps and clubs, Goshen also has one-day-only events for kids who want to compete. The Kerry’s Kids Kids’ and Teens’ Triathlon takes place in July and includes swimming, a bike ride, and a run. Extracurricular programs in Goshen appeal to a broad range of interests. In addition to sports camps, Goshen College summer camps also focus on musical theater, writing, computer coding, and working with clay. Music Together, a music and movement program for young children and their caregivers, takes place at GC’s Music Center. For sports to theater to language to outdoor activities to cross-cultural experiences, Goshen High School extra-curriculars have it all! Read about everything available at GHS here. Bright futures begin at the Boys & Girls Club of Goshen, which offers after-school programs for young people ages 6 through 18. One program, the club’s Healthy Lifestyles initiative, recently received statewide notice when it was featured on the front page of the Indiana Alliance of Boys and Girls Clubs’ newsletter. 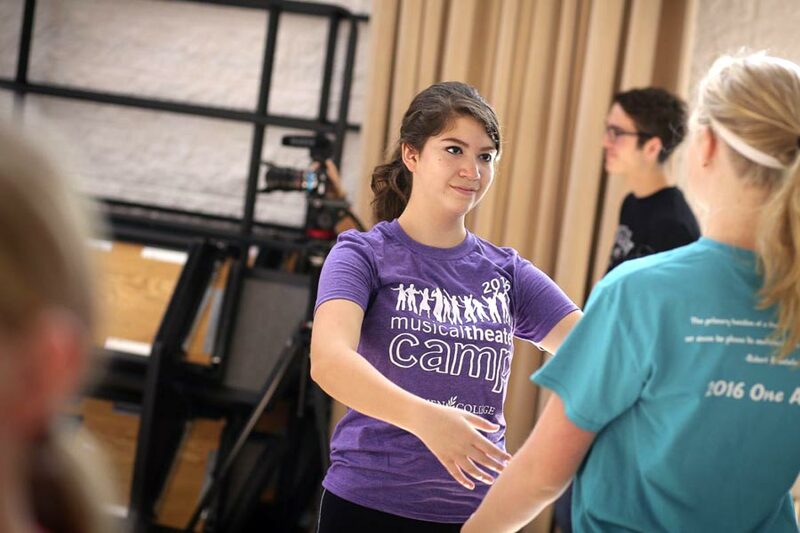 Students engage in hands-on learning at Goshen College’s summer camps. Participants in Goshen’s annual long-distance walk, Maple City Walk, enjoy the scenery of the Pumpkinvine Nature Trail. Goshenites love open spaces, and Goshen officials for years have worked to maintain and develop the city’s parks. We now have 26 parks, more than 400 acres of park space, and over 30 miles of trails to enjoy! In the summertime, kids and adults alike can swim laps or just cool off in the Shanklin Park pool. They can walk, ride, or run the trails. For the avid riders, Goshen’s trail networks connect nearby cities such as Elkhart, Middlebury, and Shipshewana. Rent a canoe and explore the natural beauty of the Elkhart River, or rent a kayak or paddle boat and enjoy one of Goshen’s newest additions, Fidler Park Pond! While your family is out enjoying the outdoors, check out what Goshen’s green thumbs have been up to by visiting our community gardens. We around 10 of them scattered across Goshen, along with four educational gardens at elementary schools and the Boys and Girls Club. You don’t have to find a sitter or leave the kids at home in Goshen. Enjoy a meal or snack at one of the many establishments where children are not only allowed, but encouraged. Enjoy a hand-crafted brew while the kids sip house-made sodas at Goshen Brewing Co. Sample the house-roasted coffee, delectable cocoa, and melt-in-your-mouth baked goods at The Electric Brew. Experience a nostalgic breakfast or lunch at Goshen’s oldest eatery, Olympia Candy Kitchen. Need even more goodness in your life? Feast your appetite on the hand-dipped gourmet chocolates, raw and freshly roasted nuts, and mints at The Nut Shoppe. Frankly, we’re hungry just writing about it. Have fun! Shoppers feast their eyes on the candy counter at Olympia Candy Kitchen.